With our more than 850 vehicles (30 types), available throughout Italy, we have become a point of reference for the most important public and private concerns. We provide full service rental services, to meet all needs (separate waste collection, hygiene) in the various zones of competence. Sustainability and technological innovation are the founding values of our strategic and operational model, with low environmental-impact vehicles and solutions. We provide personalized short- and long-term rental services and we guarantee delivery of vehicles within 24 hours of requests. Our rental contracts include all services for management of the vehicle except fuel and personnel for service execution. Gorent offers services of excellence, and can thus entirely replace fleets owned with rental solutions. Newly registered vehicles or vehicles registered no more than three years ago. The platform is managed directly by GORENT. It can be accessed via any Internet station, also mobile; no need for specific software resources. We believe in a sustainability model implemented by adherence to the values of quality, competence and technological innovation. 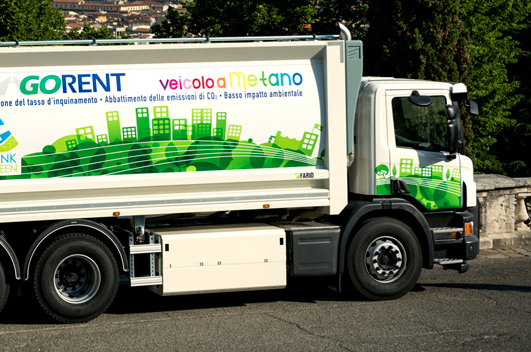 We constantly innovate our fleet and curb emissions as much as possible, while protecting the environment – an increasingly important consideration for the public administration bodies that manage municipal hygiene.